Like most small children, I learned my home address so that if I got lost, I could tell a grown-up where to take me. 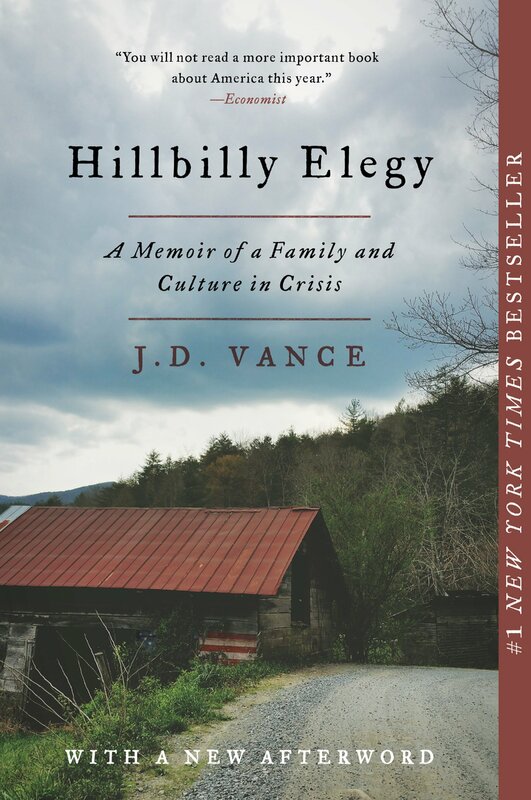 Hillbilly Elegy: A Memoir of a Family and Culture in Crisis by J. D. Vance. I opted for the audio edition because it is read by the author, which is my preferred choice for memoirs. I think it's the first thing we learn, or teach our own. Yip, that's a great quote. I also love reading audiobooks when they're narrated by the author. Enjoy! I've been curious about this book and hope you enjoy it. By the way, after hearing ANGELA'S ASHES read by Frank McCourt, I also prefer to hear memoirs read by the author. I'm curious what you thought of it. I don't read memoirs, but I can understand what you all mean about them being better read by their author. It must provide so much more authenticity. I too, had to learn rote, my name and address, just so I could be returned home if lost. Although sometimes I must have been so naughty, that I'm sure my parents might have regretted teaching me so well!! But first we were told not to talk to strangers! I've heard good things about this book. Hope you enjoy it. I love a memoir read by the author too. Those are the best! I've heard this is really good and I hope you enjoy it! Read the title and couldn't help but smile. Good one. I hope you enjoy the book. I am not fond of memoirs, but I like the beginning sentence. I moved a lot during my first seven years, so I probably had to learn a few different addresses. I think I only remember one of them now! Hope you are enjoying this one. Heard an interview on NPR and read this - even though I swore I was done with memoir. I recommend it as a good read and as a social study.